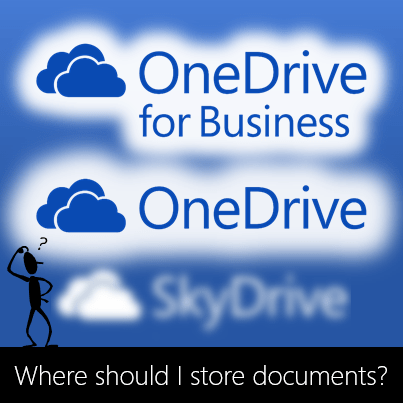 OneDrive for Business – how to know what others are doing to your documents? ODB allows you to keep your documents securely on internet. You share the document only if required. Alerts inform you when someone else changes a shared document. ODB is like My Documents on the internet. You store your files there and share it with people. But how will you know as to who can edit what? Many companies are still using older versions of Office. They often ask me why they should move to Office 2013. There are many new features in Office 2013. However, among the most important (and often overlooked) benefits is integration with Sharepoint. Therefore, this article is dedicated to features related to SharePoint, Office 365 and OneDrive usage. As a marketing professional, you need to work with multiple agencies – Direct Marketing, Lead generation, Event management, Advertising, Social Media, PR and so on. You are typically managing multiple brands, campaigns and complex set of KPIs. Do you really handle all this using email? Is it not chaotic? Don’t you get lost in the confusing deluge of conversations, artworks, revisions, interactions, pending decisions? If yes, here is a better way… read on to find out. Even if you are not a marketing professional you will find this article useful if you need iterative interaction with external parties. This is a new feature introduced recently. You can send a mail to that address and it will appear in your OneNote on all devices. Nice and easy. Here is how you do it. 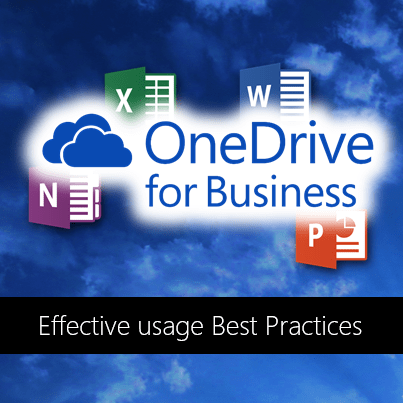 This is a concise guide to using OneDrive for Business (ODB). Using it on browser and synching it is easy. What is NOT easy is to actually use it. It often so happens that we install it and never use it. Here are the best practices for using it in such a way that it provides benefits without becoming a hindrance. With the launch of Office for iPad, this question has surfaced again. In this article, you will understand what OneDrive is, what is the difference between the two confusing names and which one to use when. The short answer is – personal data is stored using OneDrive – a hard disk on internet – for free. You get 7 GB of space. You can buy more. For corporate documents, you need something more sturdy, secure, accountable, auditable and reliable. That is called OneDrive for Business. It is not free. You get it as a subscription – on a per user per month basis. The subscription service is called Office 365. The cost varies depending upon the components you subscribe to.